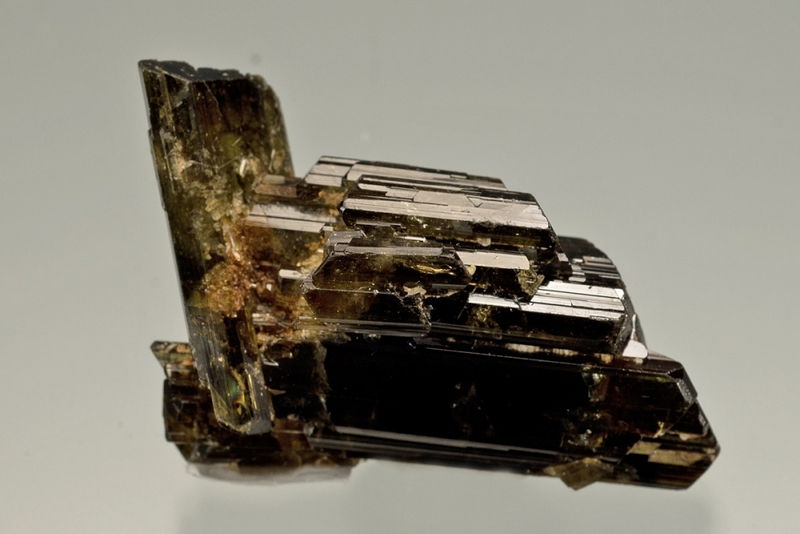 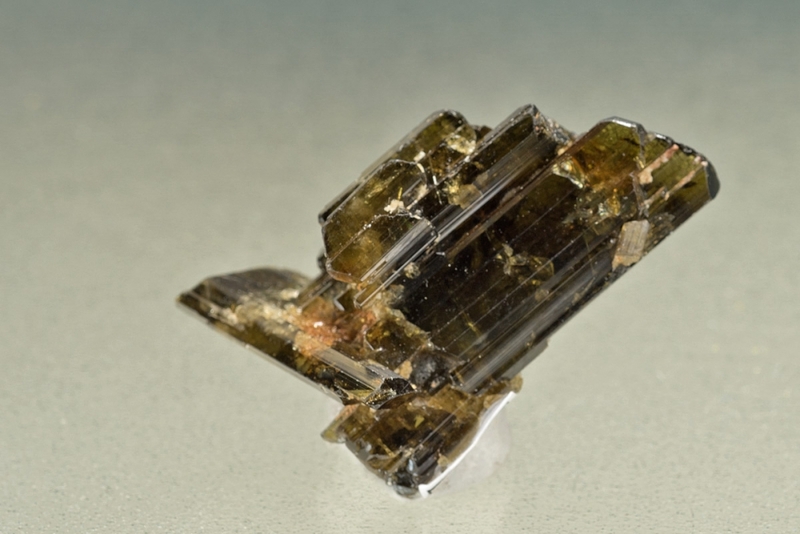 A choice miniature epidote crystal with numerous parallel faces from which a second crystal has formed offset at 90 degrees. 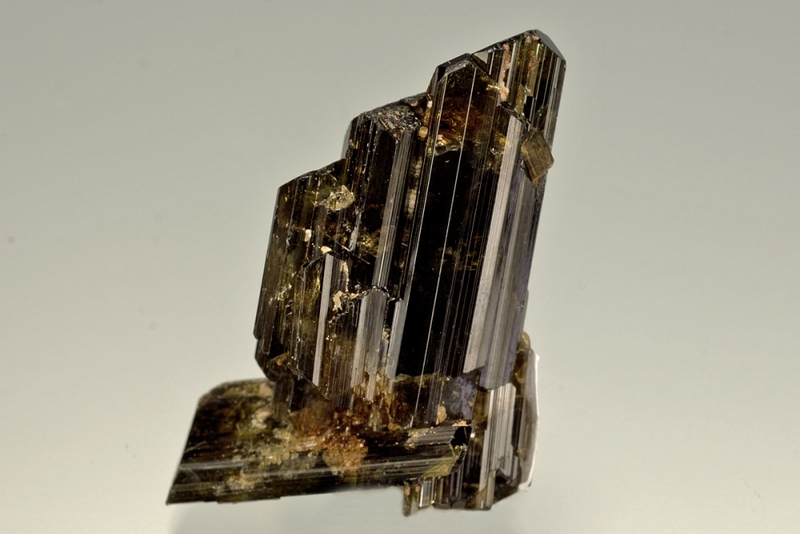 Both have high lustre and are semi-transparent. Ex. 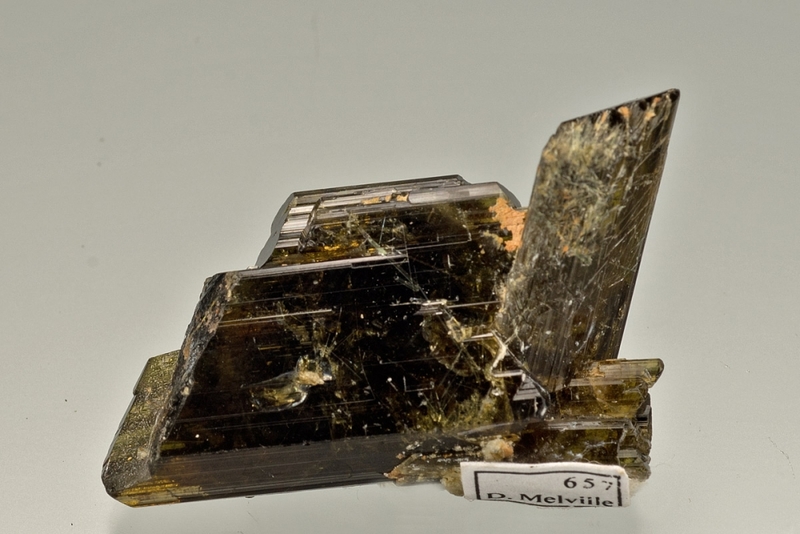 D. Melville specimen.